So ! What is a Beach House really? Beach Houses are the serene homes often located near the beach and shorelines. Typically they are also houses are located in the mountain areas with view of near the waters of the sea shores. It is also like cottage houses, which are places to spend the holidays and enjoy the vacations. The typical features of beach house plans describe the houses with large verandas with a wooden structure. Spacious beach house plans also include houses built with a magnificent view of the beaches. The rooms such as breakfast room, master bedroom, the living room and the guest room have a circulation access to the decks. The rooms may be given a spacious areas. What are the distinguishing features of beach house? Beach house interior design tends towards simpler and exclusivity of spaces is removed in comparison to the conventional and traditional concepts of home. The ocean is a great source of inspiration for many different beach house design ideas. The shape and forms of the ocean may affect the form of the beach houses. The design style of beach house is a real favorite among the people alike is the Contemporary Coastal style. It’s a style that essentially reminds us of the beach itself. The one of the most exciting parts of a beach house is all of hardy and robust types of furniture pieces that go all throughout the interior of it , generally made from organic materials and natural fibers, that reflects the beach life as much as possible. Rattan furniture,( wicker ) beds made of natural oak frames, finished bamboo blinds and dotted with canvas chairs., along the deck and umbrellas fixed to sun bathing seats. Interior decor for beach house never has to be expensive and should be more fun. As a means of interior decoration, sea shells tropical trees that evoke the ambiance of warm as palm trees, sea shells, sea fishes, star fishes, the boat scenes, ships. tropical fruits juices etc may be ideal to create the ideal interior setting of a beach house. Curtains or drapery that is rather reflective of the nature, seas or clouds and sunny beach-like in nature, can help to diffuse natural setting and mood of beach outdoors. Utilize the Mermaids Indoors as a decor of beach house and even in the outdoors as this has an immediate sense of outdoors. 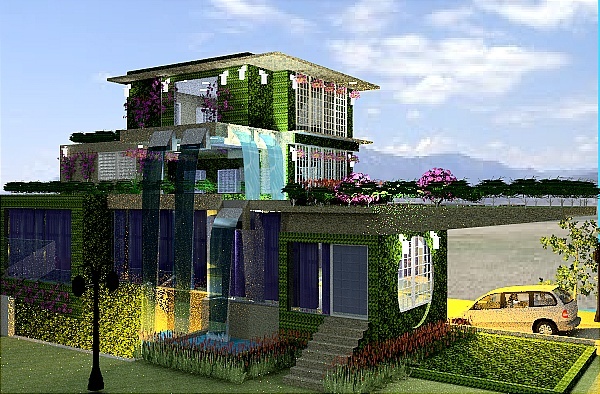 Bring In More Natural Light as to create the beach ambiance but it is sensible to utilize net Zero energy concepts as a green sustainable feature to reduce the energy from the grid. And sources of energy may be a hybrid of wind turbine and a solar panel that pays for the finance of the second beach . energy may be a source of earning some finance as the house may be left unattended too during the off holiday season, when renewable energy may help to finance the second home. It make sense to harvest the sun where the lux level is about 140,000 lux at mid day and whereas the light for task level is only 350 lux. What are the types of beach house? check our our Beach house plans, they arr simply the best on the world wide website.